Like many children who came of age in the late 1990s/ early 2000s, I grew up on a steady diet of cartoons and video games. This time period coincided with the rise of Japanese media in mainstream American pop culture. As a result, Japanese TV shows and video games like Sailor Moon, Dragonball, and Pokemon became childhood staples. I cannot say exactly why I was personally drawn to such programs. On one hand, they were a bit strange with their giant-eyed characters, exaggerated artistic effects (i.e. over-the-top facial expressions) and fantastical plots. On the other hand, they seemed more whimsical, imaginative, and emotionally heartfelt than their American counterparts, and thus I became a devotee of Japanese media from an early age. As I entered middle school, I descended deeper and deeper into otaku-hood (Note: an otaku is someone who is a just bit too interested in Japanese media, somewhat like Star Trek and Trekkies in the USA…). By default, I also became interested in Japan, the birthplace of such media masterpieces, and began to learn more about Japanese culture in the process: popular foods, common social norms and traditions, funky technology, etc. While these efforts did teach me quite a bit about Japan, my stronger interest in cartoons and video games distorted my conceptualization of Japan. Instead of seeing as a real place with real people, I chiefly envisioned it as a “magical cartoon utopia.” After reaching an apex of awkwardness in sixth grade (with my otaku-hood being a major, though certainly not singular, contributor to that affliction), I realized that I would need to tame my inner fan girl in order to survive junior high and high school. Part of that mentality switch was also the process of growing up: the TV shows and video games served their respective purposes and it was time to let go and move on to more sophisticated interests. For better or for worse, I lumped Japan as a whole into that mindset. Save a few fits of nostalgia where I tried (badly) to study the Japanese language, I viewed Japan as an impossibly cool place, but one that was more of a relic of childhood interests as opposed to a serious area of study and scholarship. Fast-forward to my first year out of college: I was working in China and had the opportunity to travel during the winter break. While there was an embarrassment of riches in terms of travel options, my inner otaku influenced me to book a ticket to the “magical cartoon utopia” of Japan. 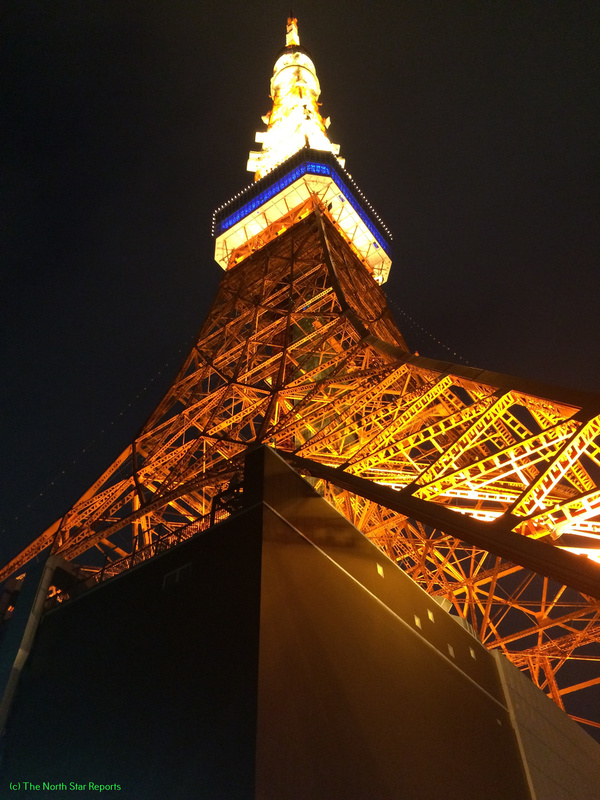 I ended up spending six days in Japan and it turned out to be an incredible experience. Unsurprisingly, part of the reason why I enjoyed the experience so much was that I was able to geek out over my childhood obsessions in their natural habitat (I’m looking at you, Pokemon key chains and Sailor Moon facemasks). What struck me the most from my journey there, however, was that I finally learned how to see Japan as a “real” place…and still appreciate it from that angle. First of all, I had the incredible opportunity to stay with my former roommate Risako and her family while I was there. I was showered with unbelievable friendliness and hospitality, which included tons of delicious food, movie nights watching Princess Mononoke and Whisper of the Heart, and lessons in day-to-day Japanese etiquette (i.e. phrases to say when coming/leaving the house, placing your shoes a certain way for good luck, etc). I relished the opportunity to spend time with them and other Japanese people and experience their customs and lifestyles. I also heard fragments of memories and histories that offered their own personal stories while reflecting aspects of national collective memory. 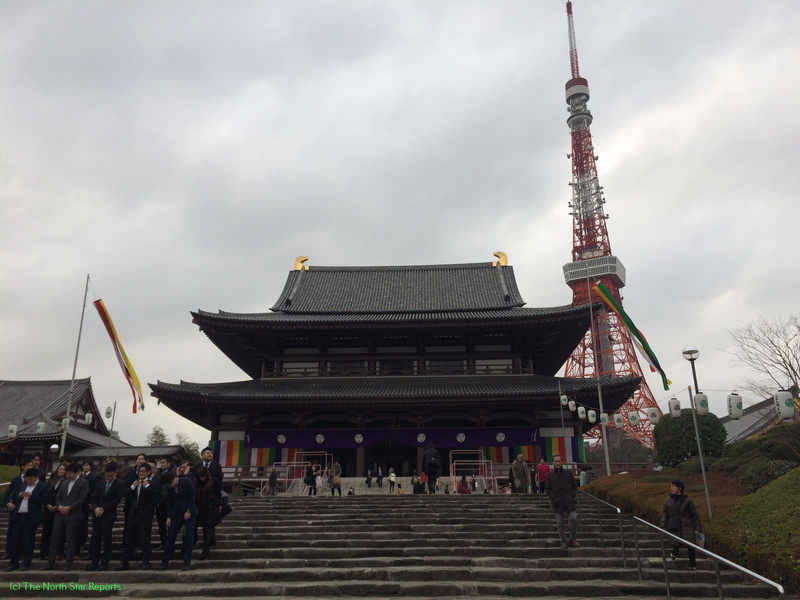 Additionally, I had the chance to walk through the cities of Tokyo, Chiba, and Ohara-Isumi City, and saw the blend of contemporary, cutting-edge buildings next to ancient shrines and temples—thus reflecting Japan’s symbiotic respect for past, present, and future. For all of these reasons, I was fascinated by the “real” Japan and embraced it for the duration of my time there. Having had time to mull over my time in Japan, the most important impact of that trip was how it gave me a more well-rounded, mature view of Japan. Granted, six days is a brief window of time to visit such a complex nation and I have no delusions of grandeur that I am now an expert on the place. However, the experience has helped me to better embrace my childhood love of Japanese cartoons and video games as my gateway drug to the Land of the Rising Sun. Sure, to love a country for its cartoon offerings could be seen as a bit shallow and silly. But much of Japanese media reflects the fascinating cultural undertones of its home base: for example, it may feature characters celebrating a tea ceremony or include characters from Japanese mythology. In other words, they serve as pop cultural ambassadors to familiarize and attract people from all over the world to Japanese culture. At the same time, I am glad that I better recognize and respect Japan as a real place and not just a glorified cartoon land. The country has an incredible history of both isolation and global integration, and has done both commendable and catastrophic actions that still have ramifications in Japan and the world at large today. It is still arguably the key power in the Asia-Pacific region (though it’s in tight competition with China) and remains one of the most important global powers to this day. And simply from a personal perspective, the sites are cool and the people are super nice, which makes me happy that it’s an actual place to visit. If you ever have the chance, I definitely recommend a visit to Japan, and please revere it both for its impact on the worlds of imagination and reality. I appreciate how you tell the whole story of your interest in Japan from a young age through college. Looking at a place through rose (or anime) colored glasses can make it seem unreal as you describe. Maybe it is part of the college experience to start looking at the world and the places in it as more real than we use to think of them. This makes me think that I should look into the places I romanticized as a kid to see them for more of their reality. I love this article because it does a great job of pointing out the mistake many of us make growing up in the United States. We often are introduced to different cultures in the US, but it is as if half of the created is fantasized or falsely expressed when we encounter it. I think you pointed that out wonderfully in this article. I know I had certain expectations of certain places when I travelled in Europe this past summer. I also liked how you pointed your transition of being a child with certain Japanese-inspired conceptualizations, to be a post-college undergrad who actually got to experience the culture for what it was. I hope your experience in Japan gave you the scholarly viewpoint you were looking for! Thank you for sharing one of your eye-opening adventure with us. I totally understand the difficulties of taming the inner fangirl of something that not a lot of people find interest in, especially in high school when students try to fit in and be “normal”. I am so glad that you never lost interest in the Japanese culture because it’s what makes you truly happy and a one of a kind individual. I believe that people should explore different cultures to understand how they were shaped based on diversity. I hope for one day to travel to a country that has me engrossed into their culture, just like you! I really enjoyed the title of this article which got me to read it. I have never watched many of the shows you mentioned but have definitely heard of them because I know people who really enjoy them. Other countries pop culture is very interesting to me because at times it can seem so different. I remember in a class I had we watched a video on music in other countries and the one for Japan was a very high pitched singer with bright colors in the back ground. For me, the Japan music video reminded me of the anime shows and seemed very cartoonish. My mindset and I believe many others do not really understand other countries pop culture because it may be different or seem wrong when comparing it to our own. I have never been to Japan but it must be very cool to be visiting a country and reliving some childhood memories. I absolutely loved this post. Reading it took me back to my childhood days also. I thought about all of the cartoons and anime I watched and how I tried drawing them as a child. Your experience also reminded me of my China experience. As a child, I would always watch Chinese dubbed movies (I am not Chinese so I could not understand the language) where the characters had super powers and amazing fighting skills. I also started traditional dancing when I was 9 years old. The dance groups that I started off in focused more on the acrobatic dances from China. With all of this Chinese influence, going to China was amazing! The mountains, culture, architecture, and people; I was surrounded by a new environment that also somewhat felt old because of my childhood. Thank you for such a great post! I smiled a lot because of your experience and my memories. I wish to have this same feeling and experience again if I ever go back to visit. 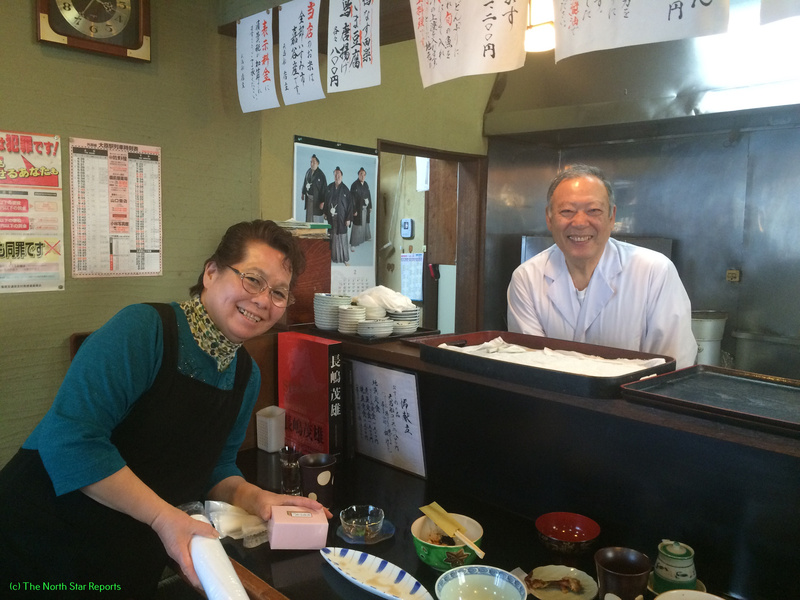 Marin, thank you for sharing your experiences that you encountered while visiting Japan. I will admit that I am no expert on Japanese medias and cartoons, but it is very fascinating to compare their cartoons and characters to those we find in the United States. I particularly like what you said about how the culture is intertwined into these cartoons. You mentioned that the characters will sometimes drink tea; I remember watching American cartoons when I was a kid such as Tom & Jerry and Loony tunes, and many of these scenes were quite violent. I wonder what people of other nations would think/say about how these cartoons made in America speak about American culture. Interesting experience, thank you for sharing! I admire your realization about how you had fantasized Japan based on the cartoons and anime you enjoyed so much. I think most of us have similar experiences with the different interests that we have that come from places unfamiliar to us (especially when related to some sort of media). The fact that you got a chance to actually go to Japan and see the country for what it really is and connect your conceptions in a real way is great! Wonderfully written article. Thanks for a wonderful article. I think a lot of people see Japan the way that you used to. It’s awesome that you had the opportunity to visit a place that you dreamed about for years! I myself was never into Japanese cartoons/anime, but my uncle was really into it and still is. My brother has also become very interested in Pokemon (particularly Pokemon Go!) so I know a little bit about it from that. I’ve heard a lot of wonderful things about Japan and really hope to visit it sometime in the near future! Maybe then i’ll learn more about Japanese anime! This story is one I can relate to on so many levels. Now, I was never a big gamer, but Yugioh was always my guilty pleasure show as a child. It was because of this Japanese made show that I fell in love with the Japanese people and wanted nothing more then to be apart of their culture. Like Marin Ekstrom stated before though, my views of Japan did become slightly altered. I started to see Japan more as a cartoon fantasy land rather then a great nation. It was when I turned 13 and my dad had received a call to be a missionary in Japan that I really got a true feel for their real culture. My father spent many nights studying the Japanese culture and sharing it with my family. It was a great experience, and an eye opening moment for me. That day I truly learned the real history of such a great country and its wonderful heritage. Unfortunately my father did end up declining the call to Japan and we never did move their, but it was always fun to imagine. I found this post very enjoyable and kept me interested throughout! I am not to familiar with Japanese culture, so it was fun to learn some new things, even if it was a very small sample. One of points that stuck out to me was when you said you thought of Japan as a, “magical cartoon utopia” instead of a real-life place. I think that this is a very true thought that resonates within many minds in America. We tend to believe that our country is the only “real” place in this world, when in fact there are plenty of other very “real” places with very “real” happenings, all around the world!!!! I really can relate to your experience in this article. In middle school my friends and I got really interested in the Japanese culture. First it was anime, then reading manga’s, and even planning a very extravagant (and unrealistic) trip to Japan together. As I grew older throughout high school my interest in anime and manga’s dwindled and, like you, I left it in the past with my middle school interests. It is really interesting to hear your perspective of actually going to Japan and seeing the culture first hand. It is amazing how quick our minds can remember the things we were once obsessing over. I know that if I were to be lucky enough to visit Japan, all my middle school memories would flood back in as you described in this article. Not only would I remember my own past, but I would be able to see the Japanese culture first hand. 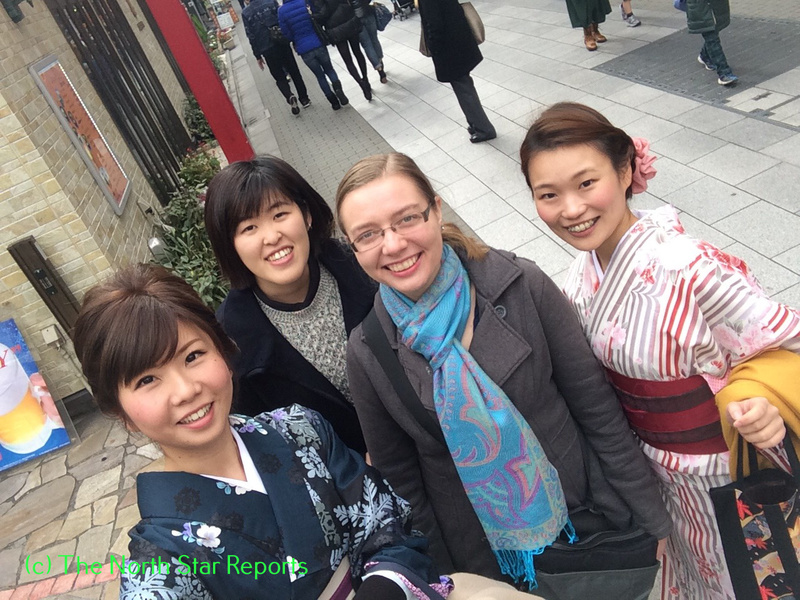 Marina, I liked the way you told your experience in Japan. I myself like to watch bit of anime and have always wondered if Japan and all of these places i see in the anime are real. It fascinates me to know that you have defined Japan is “real”. Although, I don’t know much about the culture of Japan I do indeed like to watch an Anime here and there. That is why I was so interested in reading the article because the title is perfect for what you had to say. This article takes away all the stereotypes of a country and shows what they really are from a “real” life experience. 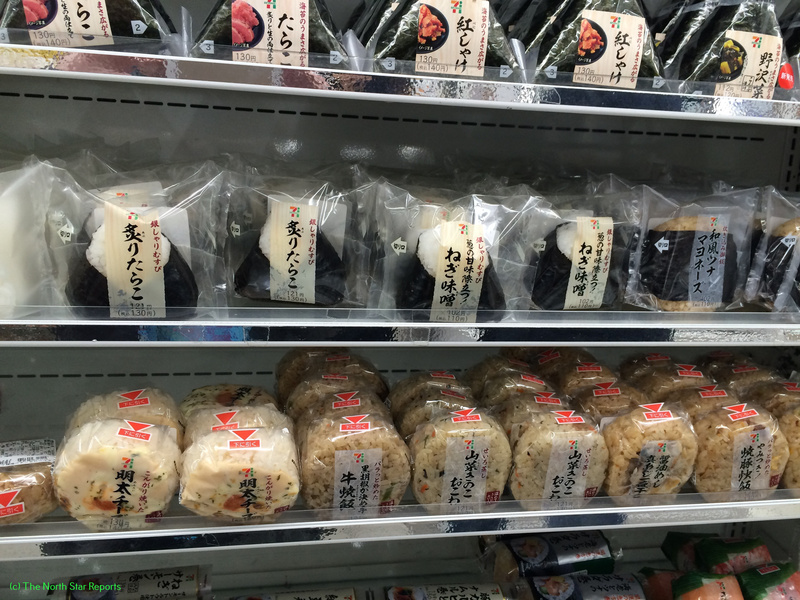 Thank you for sharing your experience in Japan! I really liked how your article had your past, present, and future tied into the idea of Japanese media. I felt that this is similar to how the past, present, and future are all present when you are in Japan especially in the traditions and the architecture. I agree that Japanese media is a huge part of their history and is something that almost all of us have had an experience with. I know that my childhood was full of it. I feel like Japanese media is a way for someone to experience a little bit of the culture without leaving home, but there is still so much more to their culture that you can only experience in Japan. I agree that the media is helpful but it is nothing compared to actually going to the place and experiencing it first hand. Great Article! I am glad you were able to allow the childhood love come full circle. I really appreciate how you described the characters of popular shows as pop culture ambassadors! With the popularity of Pokemon over the last 20 years many people that I know have been diving into the Japanese cartoon scene looking for more. 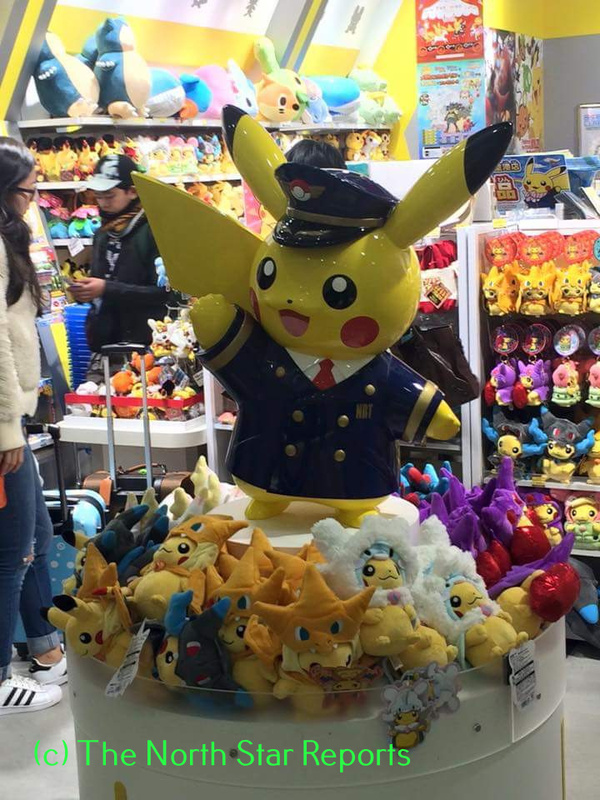 The recent popularity of Pokemon Go could help more to discover the wonders of Japanese culture like you have. Having a friend in the lands people travel is so beneficial, especially when it is Ri. She is pretty cool (I know her from the tennis team). I feel it is easy to associate a country with the media it releases via cartoons, reality TV shows, products, etc! I wonder, however, why this is? I enjoyed the very last sentence you included to end the article because I felt that it was a great, thought-provoking summary of your ideas: “If you ever have the chance, I recommend a visit to Japan, and please revere it for both its impact on the worlds of imagination and reality.” I also find it interesting that you said while in Japan you began to see it as a real place. From reading and studying geography and history, one will be aware that a country exists from fact, but when does it really become real to an individual or a part of an individual’s reality? Thank you for sharing! How interesting! I really liked this article as I went to China last winter and it was fun to be able to talk with our hosts there about media in the U.S and hear their thoughts on it. I really loved and was really not surprised to see the amount of Hello Kitty that we was. Even when we went up to see Big Buddha in Hong Kong we were on a Hello Kitty themed ride! Thank you so much for sharing your experience! I have never been a huge anime fan, but I did enjoy cartoons very much as a child. I think your fascination of Japanese culture was wonderful, and it seems as though you had strong ambitions of learning from the things you loved. I enjoy that you pointed out how what we see on TV can distort our beliefs about how a certain place may seem. It goes to show that the media has a huge role in how we stereotype and create misconceptions about certain people, groups, locations, etc. We need to be careful and be aware of how this can be dangerous. I think we should still be allowed to enjoy these types of things, because as you have shown, a love for anime can turn into a love for Japanese culture. I hope some day you get to go visit the country some more! It is great how delving into Japanese anime has increased your knowledge and interest of Japanese culture and perhaps traditions. Japanese media differs greatly from American media and it is cool how you were able to see that. The history of Japanese media is intriguing and it has influenced or caught on with a lot of American people; even the more recent Pokemon-Go! The media has helped immerse people into a different way of life but I am glad that you were able to physically experience the wonderful culture in person rather than just through the computer screen! I think that making the connection between your childhood and the place where it was created is a great way to grow. To see what the story lines where portraying and the connection with Japan must have been an amazing experience! The ability to learn the Japaines culture deeper then just the tour bus must have been eye opening as well. I wonder what some of the Japanese people thought of an American so interested in their entertainment and culture. If they were excited or taken back? Thank you so much for sharing a part of the world that many of us 90’s cartoon kids won’t have a chance to experience. I love how sometimes your idea of a place and the reality of it are so different that you get to enjoy it in new and profound ways. I experienced this when I visited New Orleans for the first time last year, it was such a vibrant city and not at all what I had expected. I’m glad you had the opportunity to travel to Japan and experience both versions of Japanese culture! It sounds like a great trip. 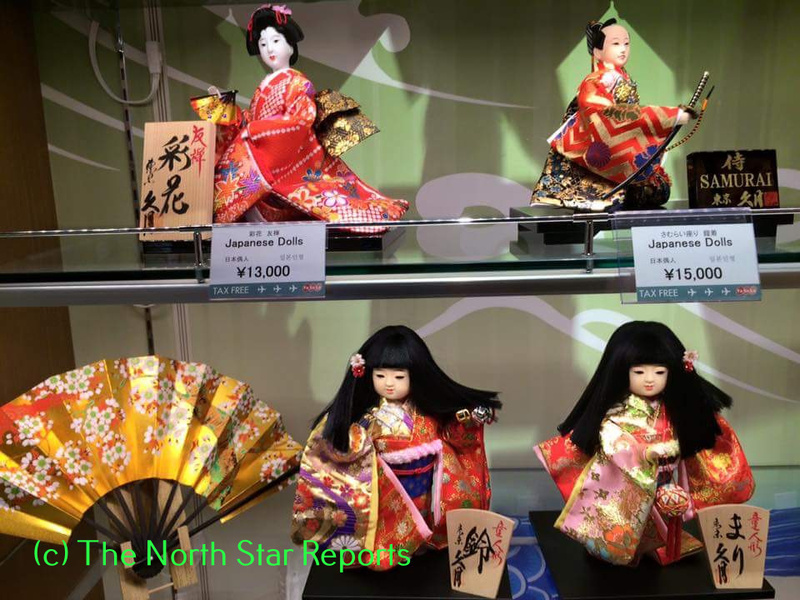 Japanese culture has seemed to become more and more prevalent in American society. I have seen/heard of many people who watch Japanese anime shows, or those who play Pokemon (which is A LOT of people). It would be interesting to see if there are major areas of American culture that the Japanese embrace like you did with anime. I liked that you were able to find that nostalgia when you got to travel to your fantasyland of a country! I could only dream of having that opportunity. I think it’s really great that you were able to connect your childhood with an experience you went through in early adulthood and notice how much you’ve grown in your understanding of different cultures. Last semester I took a course called “Great Ideas: Truth,” and in that we talked about the different ways in which the media portrays things, and one person presented on Japanese pop stars because she has always been super interested in them and their lives. She discovered, though, that as she did more research, some of them had to leave their homes and do music and dance 24/7, and their lives weren’t exactly how they were portrayed. I think that even so, your love for anime is what led you to appreciate your experience in Japan in the first place, and that is so great, but like you said, it’s always important to be wary of the media. I am a 1990s kid, but I am one of the few who did not grow up on video game so I am very grateful that you can share your experience with me. I can only imagine the time you had reliving your childhood as it brought you back so many fun memories. You are also very brave for moving with your gut to trying this out and getting to have fun while at it. It is always so interesting to hear stories such as this because it is from a very genuine place of mind because you have always admired the culture, which will then allow for a realization of their culture. This experience would be great to venture because you have shared so much and it has built a great appreciation for their culture. I am completely astounded to have read over your essay and partially understand where you are coming from! As a 97′ baby, I definitely got my dose of cartoons and animated characters, yet I never really admired Japanese cartoon as much as you did. In both comparison and contract, I love Korean dramas ad wish to someday visit Seoul, Korea. On the other hand, you clearly showed aspects of being teachable and willing to learn. When you were younger, you only saw Japan as a “magical cartoon utopia” and did not think much of their existence. However, now that you have experienced and lived in Japan, it seems that you are now more satisfied by learning their culture. I will take it as that you had in incredible time and did not regret anything. Thanks for sharing! I loved this article! I also have had an obsession with a foreign away land that I previously had never been to. Fortunately, after a dare from a close friend, I made the journey to this place: Finland. It’s really fascinating putting a face to the name, or in this case sites, people, cartoons, culture, and architecture to the name. Finland, though, can not be compared to such a culturally different place found on the other side of the land mass. I can only imagine how breathtaking it was to see your favorite TV shows and cartoons in their home land. Hopefully, if you have not already, you will have the opportunity to take an even longer visit to Japan! I also really want to travel to Japan for many reasons, most of them concerning food and tea! I enjoyed your story about how you had this glorified vision of Japan in your head and how you were finally able to reconcile it and view Japan as the real pace it actually is. I feel like this concept can be applied to many scenarios in life including, but not limited to physical places. When I was young I always had a glorified vision of what having a sister would be like, but when my wish was granted and I received a step-sister, I realized it was not all sunshine and rainbows. She is one of my best friends and I now see my sister as a real person with flaws like everyone else. I believe the reverse happens just as often where people are restrained from doing something due to an ingrained belief that it will be less than satisfactory. Your adventure with discovering Japan and finding a common ground in your fantastical and physical realities of it is inspiring to read. Thanks for sharing! This is a really awesome article. I have always wanted to travel to Japan and I have never thought about that I would expect to find there. I also think I would expect a “magical cartoon utopia.” I think it is really awesome you were able to go and work there right after college. I would love to have the experience and opportunity to do that. I believe it is important to take time and realize these magical places we all hear stories about are real places filled with real people. Hi Marin, It was super cool to stumble upon this article of yours. I feel it strongly addresses national exceptionalism and the way that foreigners often create their own utopian models of other societies in their minds. I’m glad that you had such a wonderful experience and that your expectations were not entirely disappointed. A lot of problems the world is experiencing are based on the fact that people’s expectations aren’t being met when they land in a foreign place. We are always trying to sell everything- this includes ideas, experiences, dreams (i.e. the American Dream), and makes it much harder to separate fact from fiction. Because we run on consumerism and instant gratification, it is much harder to see the value of a country, its cultures, peoples, and land. It is much easier to take the face value of anything and pay cash, rather than stumble through the learning process and synthesize new meanings and values for oneself. I hope I am able to better acknowledge my national exceptionalism for European states and learn enough to create the right set of expectations whenever I travel. How do we prevent corporations and governments from selling us utopian visions so that we can form a more accurate idea of a foreign place before traveling? Thanks so much for making me think.